I love to come up with fun and festive cocktails (and mocktails, too!) for the holidays. Zevia gave me the opportunity to take one of their delicious flavors and make a fun cocktail out of it. This one is perfect for the holidays, and it’s called The Tipsy Reindeer. This holiday season I #CheersTo a happy and healthy family! I’m glad that my children are happy and don’t have many worries. They are free to be carefree and silly. I’m so glad, for the most part, we have all stayed healthy during this season. Mr. E had been sick since October with bronchitis, but he’s finally made it up the mountain and is on his way to being healthy. His cough is almost completely gone. The Tipsy Reindeer consists of Zevia Ginger Ale, Whipped Cream Vodka, and Passion Fruit Cocktail Juice. It’s delicious! This drink can easily be made into a mocktail without the vodka. You could even add the whipped creamy flavor by mixing in a dash of heavy whipping cream to the mocktail. An easy cocktail (or mocktail) perfect for the holidays! Crush about 2/3 cup of ice. Pour in 1 oz of whipped cream vodka. Pour in 1 oz of Zevia Ginger Ale. Pour in 3 oz of passion fruit juice cocktail. Slide 3 cranberries onto a long toothpick and add to the drink and stir. Top off with a sprig of mint. Check out the holiday sparkle in the gallery & follow along on their Instagram & Twitter feeds for the daily winners! You can never go wrong with ginger ale and vodka. And I had no idea they made a vodka whipped cream flavor, YUMMY! Love the name of this cocktail and the garnish is beautifully done while adding in some festive holiday colors. This is such a cute name. Love it. Happy, Happy Holidays and I hope you drink lots of Tipsy Reindeers. This drink sounds perfect for the holidays and I love the addition of the cranberry and mint! Love everything about this! 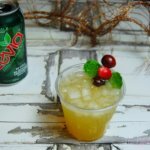 Ginger ale is probably the best mixer ever, for both cocktails and mocktails. My husband has been on a cranberry kick lately, which is an added bonus! Love the name. Sounds yummy. 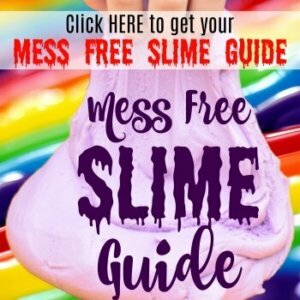 Just might have to try this!